Everything is in full bloom in Delaware’s Quaint Villages! With spring in the air (and Mother’s Day right around the corner! ), it’s a perfect time to pick up a fresh bouquet and some locally grown produce. Read on to discover our favorite florists, nurseries and farmers markets in Kent County. Nothing makes it feel more like spring than blooming flowers and vibrant bouquets! Brighten up your stay in Delaware’s Quaint Villages with florals (or celebrate the mom in your life with something special)! In Dover, you can find a lovely selection at local flower shops Jen-Mor Florist or Bobola Farm & Florist. Got a green thumb? You’ll feel right at home at these local nurseries and greenhouses in Delaware’s Quaint Villages. (And if you have a history as a plant killer, these experts can guide you to the perfect low-maintenance plants!) Visit Ronny’s Garden World in Smyrna for a year-round selection of gardening and landscaping materials. In Dover, Rose Valley Greenhouse offers a wide variety of plants, flowers, produce seeds, and more! 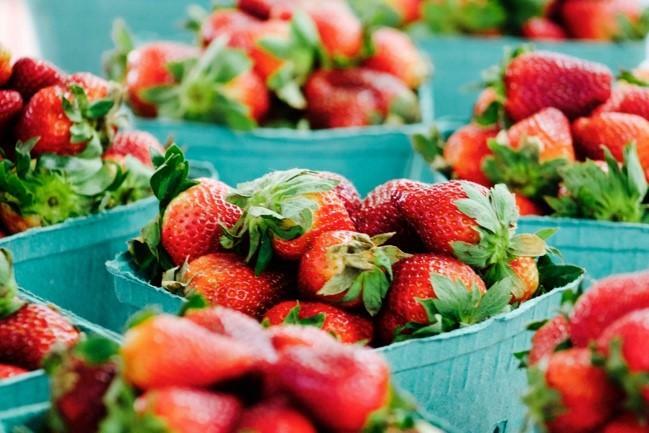 Spring in Delaware means a new assortment of in-season produce, including strawberries, asparagus, scallions, mint, rhubarb, wild mushrooms, new potatoes, and more. Stock up on the freshest fruits and vegetables at these quaint farmers markets. Spend a day at Fifer Orchards Farm and Country Store in Wyoming, Delaware, opening April 5, just west of Dover — starting in May their Farm will have strawberries that need to be picked! Visit Spence’s Bazaar & Flea Market in Dover for an extensive farmers market, along with a wide assortment of other goods, from books and clothing to homemade ice cream and Amish pastries. For a full list of florists, farmers markets, nurseries and greenhouses, click here for more information!